Being charged with a DUI is a serious matter, but when an accident is involved, the situation becomes even more dire. If you were involved in an accident that caused a serious injury, death, or property damage, a DUI charge will automatically be raised to an aggravated DUI charge. 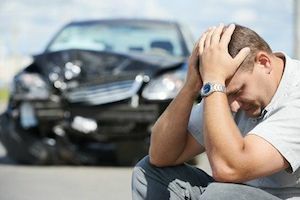 Because of the grave nature of a conviction, if you have been charged with an accident-related DUI, you should immediately seek out qualified legal help. James E. Novak has helped many clients who were facing DUI accident charges in the greater Phoenix area. Having focused primarily on DUI cases for a number of years, James Novak has a thorough knowledge of DUI law and knows how to successfully argue against a felony drunk driving conviction. Contact us today to learn more. If these cannot be proven, you may still be found guilty of a misdemeanor DUI, but you cannot be charged with an accident-related felony. However, if you are found guilty of DUI, an it is your third DUI conviction in seven years, you may be charged with felony DUI. As with any felony charge, if you are found guilty of a DUI charge involving an accident, you will face heavy penalties. These can include at least four months in prison, more than $150,000 in fines, a three-year license suspension, and an ignition interlock device. There are, of course, many other effective arguments that may be used. James Novak may use other strategies to defend you, depending on the specifics of your case. Even if he believes reduced or dropped charges are not possible, he will work tirelessly to negotiate a reduced sentence. If you are facing DUI charges involving an accident, you should seek out immediate legal assistance. Call the Law Offices of James E. Novak today and get started on the path to a successful legal defense. Attorneys are ready to take your calls 24 hours a day, 7 days a week, and they will be happy to book your consultation with James Novak.